featuring two Muslim girls that was removed after threats from right wing bigots, she didn’t expect it to make national headlines and generate thousands of dollars via crowd funding. 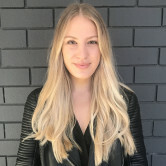 Launching the second fastest growing GoFundMe campaign ever, the Gruen regular raised nearly $170,000 which allowed her to put up 17 billboards, 500 street posters and seven full-page newspaper ads - all while taking on Twitter trolls and ultimately showing the power of the ad industry. Not only did Madigan rally the support of the Australian media, but she also garnered the support of 15 brands, including Ogilvy Melbourne, Fenton, Aston, JBT Lawyers, Australian Unions and more. While the success of the crowd funding efforts well exceeded the original goal of $20,000, Madigan says the biggest achievement of the campaign was making the young girls featured in the billboard feel included. “I knew I had made a real difference when I saw the girls on Channel Seven. Seeing how happy the campaign had made them was the real payoff,” she says. Mamamia donated digital ad space to the campaign, hosting ads on their website, and Chaos Media, who assisted with the media buying, waived its fees. However Madigan was disappointed by outdoor organisations APN and OohMedia who decided they wouldn’t be a part of the campaign. The decision of both companies could have been coloured by the threats received by QMS when it initially unveiled the billboard in Melbourne. “You have to be brave and you have to expect backlash. We knew there would be backlash. Agencies need to work out if you are okay to cope with that. It can be emotionally draining. But if you believe in what you are doing, you deal with it anyway,” Madigan says. After the original media buys, $29,832.91 remained in donations which were split evenly between charities IndigenousX and Children’s Ground. When asked if Campaign Edge will continue to on its mission to address issues of racism in Australia, Madigan said that was the initial reason she set up her agency. “We are in a progressive space. The success doesn’t change us as an agency because it’s who we are and it’s the reason I set up my own agency – because I wanted to feel comfortable from an ethical point of view. The agency was set up with the mindset that we wouldn’t work on clients regardless of how much money they were offering if we didn’t agree with their values,” she says. 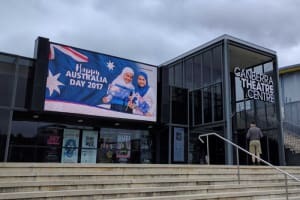 When ECD Dee Madigan set out to resurrect an Australia Day billboard featuring two Muslim girls that was removed after threats from right wing bigots, she didn’t expect it to make national headlines and generate thousands of dollars via crowd funding.